OMG ! . . . this defibrillator comes flying ! Human beings can defy fate in a regular fashion as the modern science is exploding and creating infinite possibilities ! We can give a fresh life to a dying man by multiple organ transplants just like changing a crashed mother board in a PC ! We can isolate vital germ cells , fuse them, clone them and even create new form of life ! We can keep a man in deep coma for years and bring back to life ! When the heart goes for convulsions due to electrical instability , the only solution is immediate CPR followed by electrical shock .All you require is about 200 j of electrical energy over the chest .This is to achieved within 5-10 minutes.How and where do you get that energy in that short time span ? Is 911/108 services that efficient ? *Can your fully charged mobile phone deliver it ? Unfortunately not yet ! Public access AEDs (Automatic external defibrillator) are there in many commercial places.But ,they are not universal and foolproof. Come 2015, we have a marvel of a technology waiting to happen ! 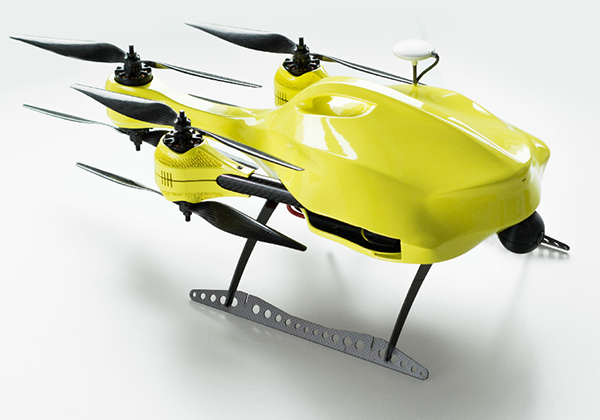 How about delivering a light weight defibrillator through a drone ? to the exact place where it is needed .With the accuracy of GPS technology steadily improving , a self powered , auto- responding drones from a near by base station is a reality . This drone . . . delivers life ! All that is required is a phone call . The drone with defibrillator is delivered in few minutes .Of course , a bystander help is required .An experimental pilot project is being tried in Holland What a break through it could be when its stream lined ? Man proposes ,God disposes ” so sure it is ! Are we close to challenge the super power ? It is said , modern men will play god in near future with perfection.Can it ever be like this ? “God proposes and man disposes ? No . . . it can never be! If a drone comes from nowhere to save a human life, it is also an act of God ,through a “Human enriched technology. you raise a good point, is 911/108 service that efficient? In the U.S. it would likely add several minutes to the response time as they verify the request. why not cut them out of the process? an app on a smart phone could directly summon the drone AED. In order to install that app the bearer of the phone could be pre-checked as a reliable operator, and voice or finger print recognition could ensure that the reliable person was the one placing the request. The phone knows where it is, and might even be used to confirm the patients need; haven’t I seen EKG apps? Alas, I am afraid in the United States the 911 bureaucracy would never permit a process that eroded their authority to get established.